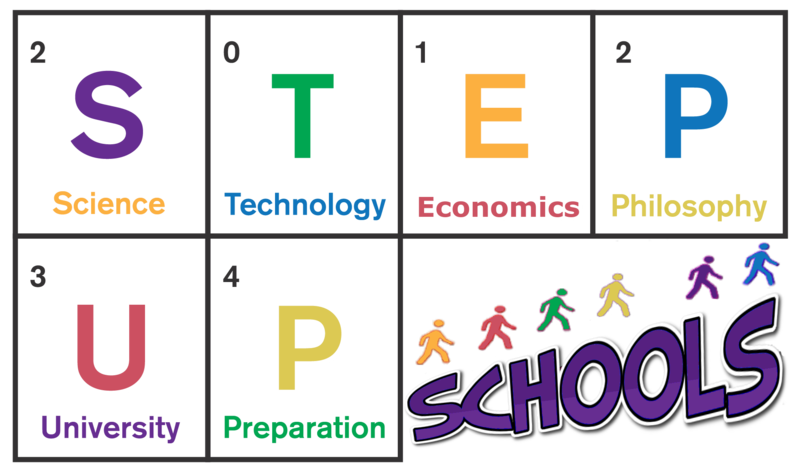 STEP UP Charter School is a K – 8, Title 1, nonprofit, charter school established in 2012. We are located in the heart of the heritage rich, Washington-Escobedo community, one mile north of downtown Mesa. The school is housed in Mesa’s Washington Park Activity Center. In the heart of this richly diverse community, our school serves a population of about 90 students. The breakdown of this population being 19% African American, 11% Caucasian, 65% Hispanic, and 5% American Indian students and families. 97% of our population receives free breakfast and free or reduced lunch, and 100% of our population are offered a free, healthy, after school snack daily. Additionally, every Friday, 50% of our students take home individual bags of food, donated by The Brain Food Organization, for weekend nourishment. We exist to offer, primarily to the children of the disadvantaged community in which they live, a high-quality and comprehensive education, rich in all areas of math, science, reading and writing. Additionally, we strive to offer this outstanding education to these children in a small, safe and nurturing environment. The message conveyed to these students on a daily basis is that the pathway to living a life of possibilities and fulfillment of their dreams is through education. We regularly encourage them to plan their educational paths through a college degree as we prepare them for the rigors of attaining that goal. Our core program is also comprised of laying a successful educational career through attaining social skills and behavioral training. All students are trained in these areas as heavily and passionately as they are trained in their academics. These three components lay the foundation of what makes STEP UP School foundationally strong for this community. All of the teachers at STEP UP Schools are Arizona State Certified with a minimum of a 4 year bachelor’s degree. Every classroom has either a certified paraprofessional or a minimum of an associate’s degree professional, as support personnel working alongside the teachers. We offer an outstanding state monitored Special Education program, ESL program and comprehensive small group reading support to address the state’s reading initiative called Move on When Reading. Finally, we work hard to offer field trips, after school tutoring, sports activities, chess club, girl scouts and other various extra-curricular activities for enriching their educational experiences enabling them the opportunities to explore all of their personal interests. For these reasons, volunteering and grant partnerships are integral to achieve our goals for this small community school. Are you, your friends, or family looking for somewhere to take advantage of the Arizona Tax Credit for school donations? STEP UP School invites all interested people to donate to STEP UP. One easy way, is through utilizing the Arizona State Tax Credit. This tax credit can be for up to a maximum of $200 per individual tax filer, or $400 per joint tax return. It is easy to donate. Complete the bottom portion of this form and either mail the form and your check to 44 E 5th St, Mesa, AZ 85201, or bring your check by the school during regular business hours, Monday through Friday 8am – 4pm. "I like going to STEP UP because it has smaller classes, more days of studying and good friends. I make better progress." "The teachers make learning fun and not difficult. I like science because we do experiments we can touch rather than watching videos and teachers doing everything." "I like recess because we get to play in the grass. We have centers like kitchen where we get to make food." "I like to come to school because I like learning and we have fun doing special things. We get to go on trips."